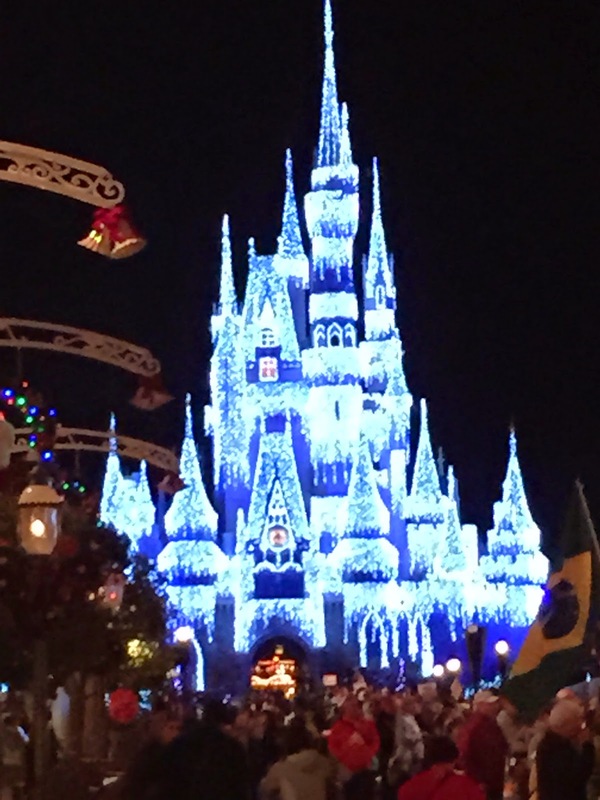 I'm on my way home from the 2015 WDW Marathon weekend, and it was a complete whirlwind of a time!!!! For any new readers, I only registered for the Goofy Challenge 8 weeks ago at the Wine & Dine expo. Throw in the holidays with the short training timeline and I knew this weekend was going to be a challenge. Not to mention that we are starting our house hunt and work is nuts, so extra time off wasn't an option! Normally, I'd break off the expo into it's own entry, but I literally dragged my suitcase straight from the airport, pre-ordered anything I wanted, and was in and out in a matter of minutes. Well, except for forgetting to take my picture to verify I was running both parts of Goofy--but I was only $8 into the cab ride to the hotel before I made him U-turn it back to the expo. (I was so rushed I totally forgot, but in my defense, someone should have been reminding the runners that they had to do the pictures. I'm guessing since it was fairly empty, they just got out of the habit of filtering traffic). We stayed at Hilton Bonnet Creek (review of that coming soon too). They had race transportation, so my very, very, very early morning started with a 2:10 am wake-up call. Mind you, I had only arrived the evening before, so it actually was 11:10 pm Friday in Vegas. 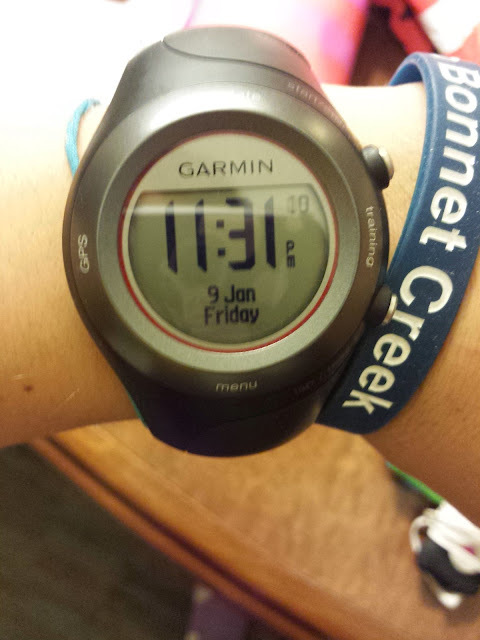 BTW, yes, my hubby was still awake from the night before and my Garmin did still say "Friday". I dragged my tired tush out the door and we arrived at the starting area a bit after 3. I think we were the only people there! Too early, for sure, and it was FREEZING! Okay, not quite, especially compared to the 5k a few days earlier, but it was very, very cold. We sat by the concession booths and my mom got some hot coffee. 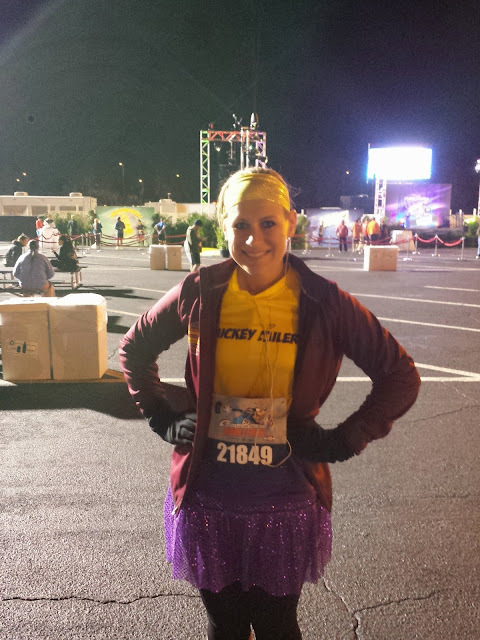 Pretty soon, people started arriving and I met up with some other Mickey Miler Running Teammates. It was great to meet new people and huddle up for some warmth. Side note: I really need to get to know these people better--what an amazing group!!!! 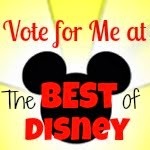 I headed out to my corral (G...for Goofy!) a little before 5. If you're new to marathon weekend, this long, boring road that you walk to get to your corrals is so annoying, but it at least got us moving. For the half, I started with my corral. I just wanted to get it over with! I didn't take pictures on the course, either. We started out near Epcot, and headed straight for the Magic Kingdom. We passed by the Contemporary, then through the TTC, and into the park. I'll say it a million times: running down Main Street USA never gets old! It got crowded through the park, but it's to be expected. Quickly we were back on the road headed to Epcot. It's not the most exciting part of the course, and there are a few tight squeezes on the roads that have to remain open (commonly known as "cone alley"). Somewhere around mile 10 I ran into a friend I had met at an expo in Vegas (she owns the super cute shoe bling company Shoe Frosting--check it out!). So random! She was running Dopey this weekend. We ran together the last 3 miles, and they just flew by. We entered Epcot in Future World, then did the quick switchback at the gateway area. Gospel choir, then finish line! 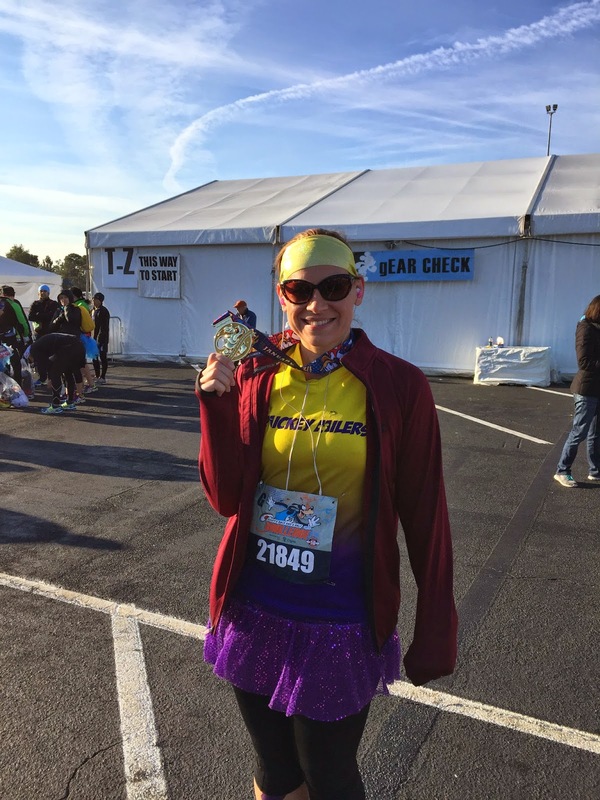 It was pretty quick and simple--that's what happens when you run a half marathon when you've been training for a full. Those 13 miles just fly by! I finished in 2:39:17. Not bad considering I intentionally took it slow knowing I had a marathon the next day. I collected my bling, my snack box, and walked through a pretty nondescript tent. I later learned that this is where they would verify I was who I was the next day. Guess it was like a training for marathon day :) My mom met up with me at the finish area--I was freezing! It never really did warm up too much. I run for the bling...let's be honest! 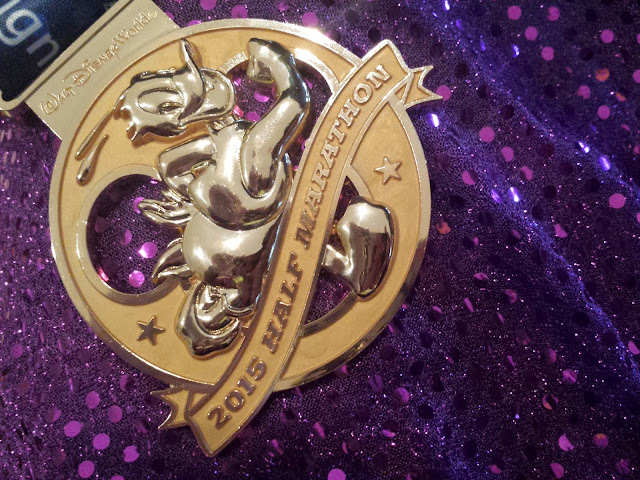 Have you ever run the WDW Half? Is it on your "must-run" list? Tell me about it!